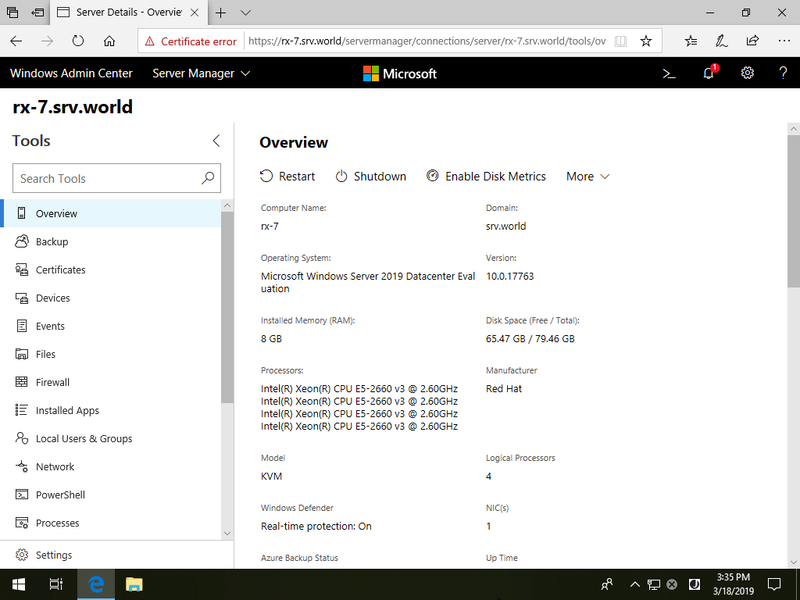  For [Overview] on the left pane, it's possible to see the current status of the Host like CPU usage or Memory usage and so on. 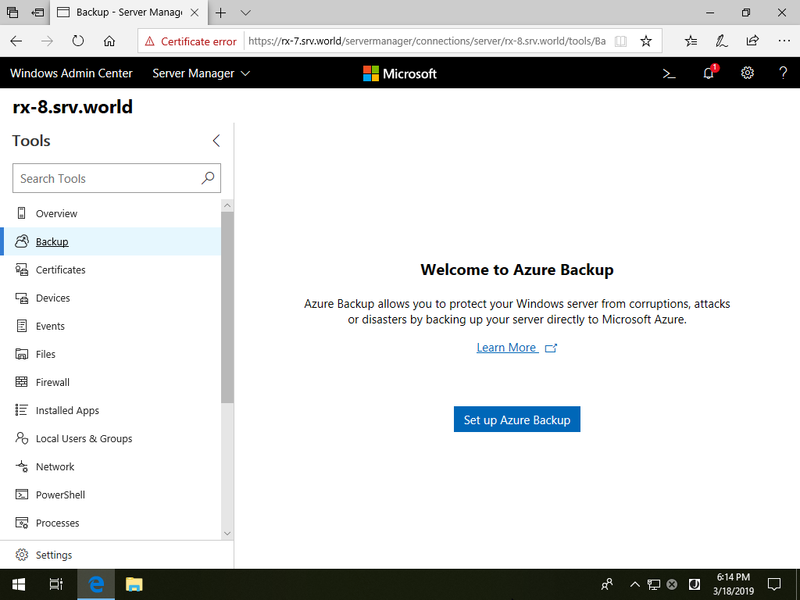 For [Backup] on the left pane, it's possible to configure Backup with Azure Backup. 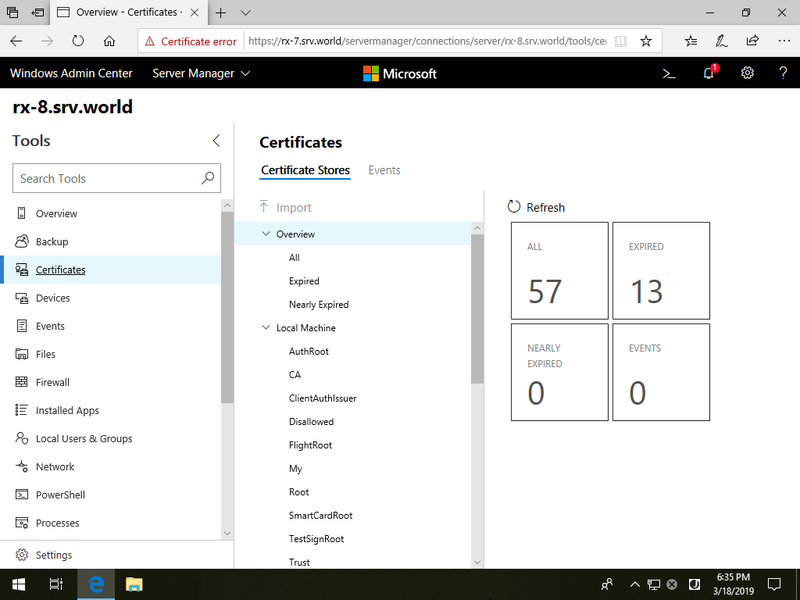 For [Certificates] on the left pane, it's possible to manage stored Certificates. 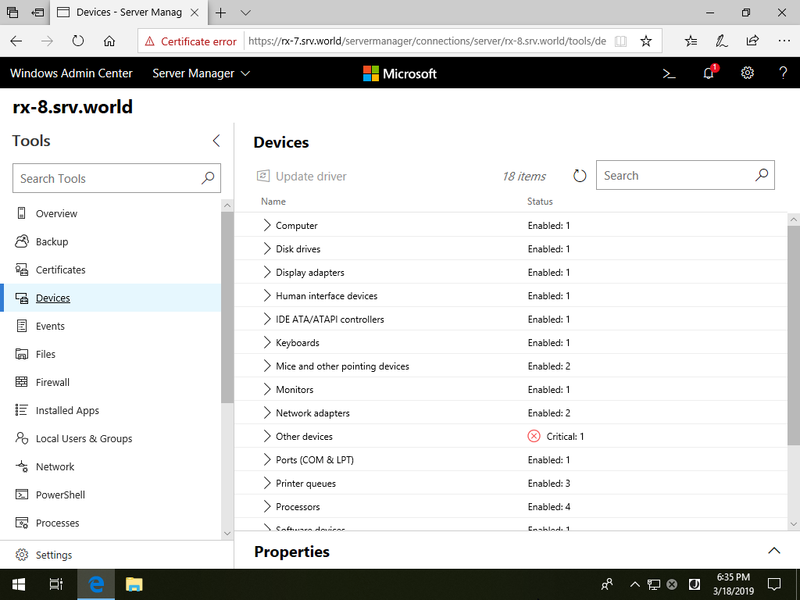 For [Devices] on the left pane, it's possible to manage Devices, it's the same feature with Windows Device Manager. 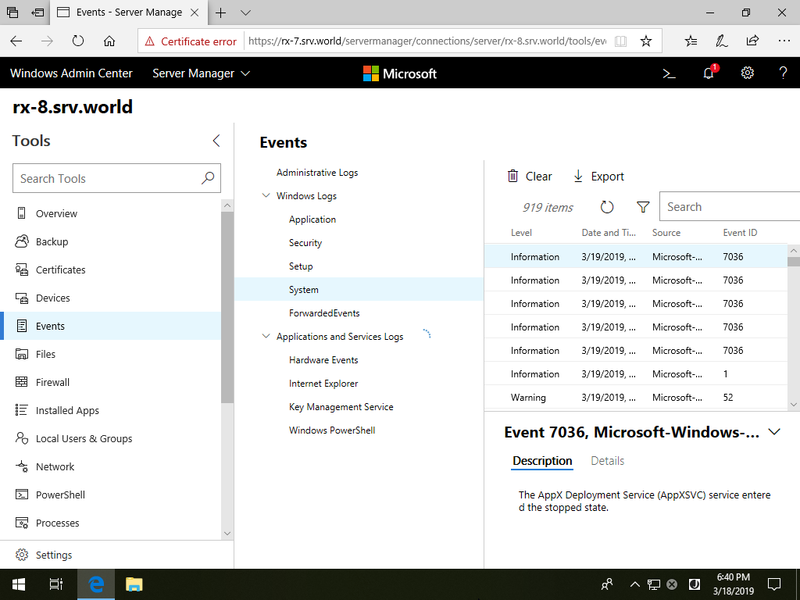 For [Events] on the left pane, it's possible to see each Log, it's the same feature with Windows Event Viewer. 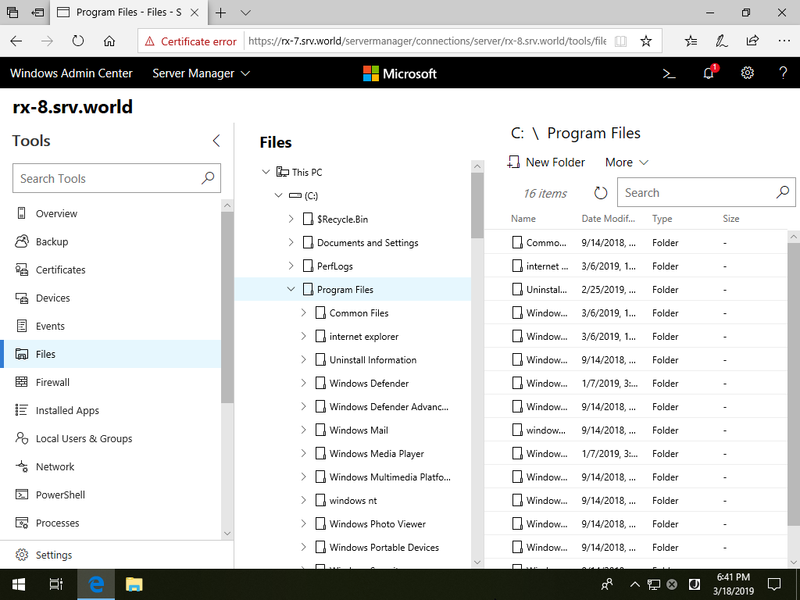 For [Files] on the left pane, it's possible to manage files and folders, it's the same feature with Windows Explorer. 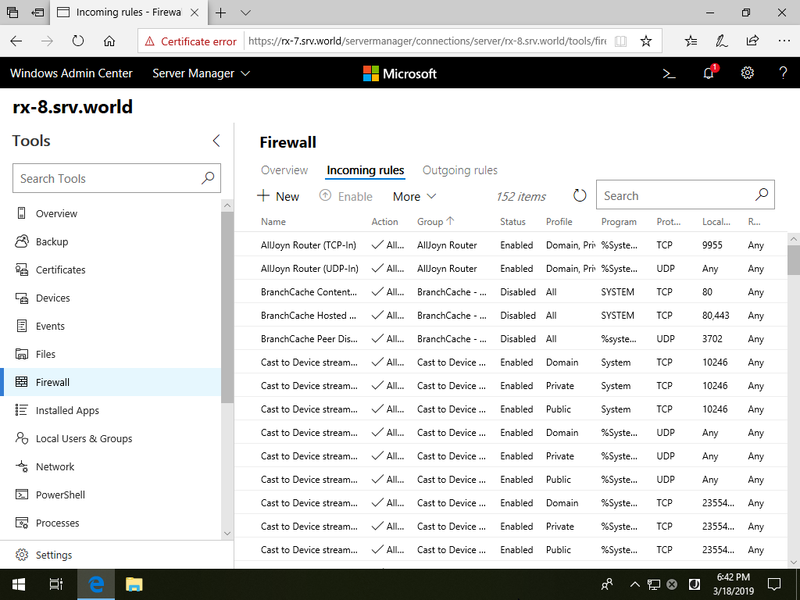 For [Firewall] on the left pane, it's possible to manage settings of Firewall, it's the same feature with Windows Defender Firewall. 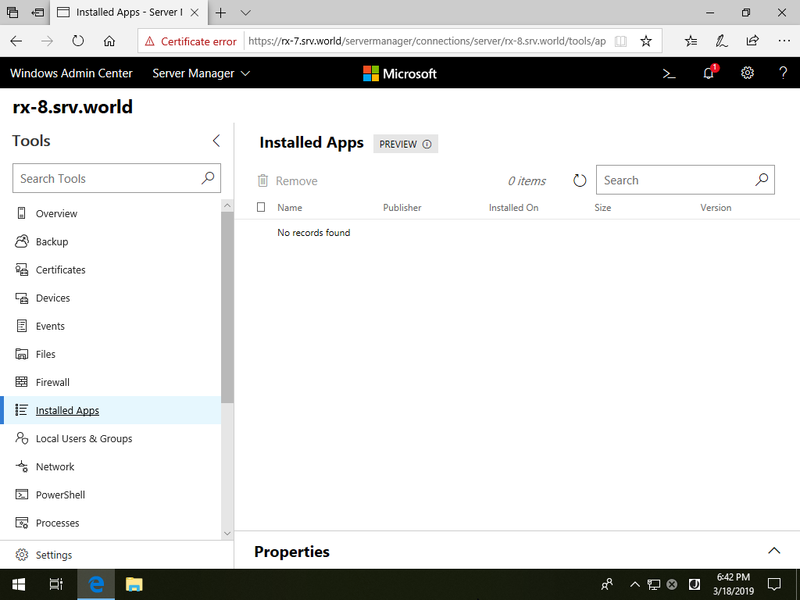 For [Installed Apps] on the left pane, it's possible to manage Installed applications. 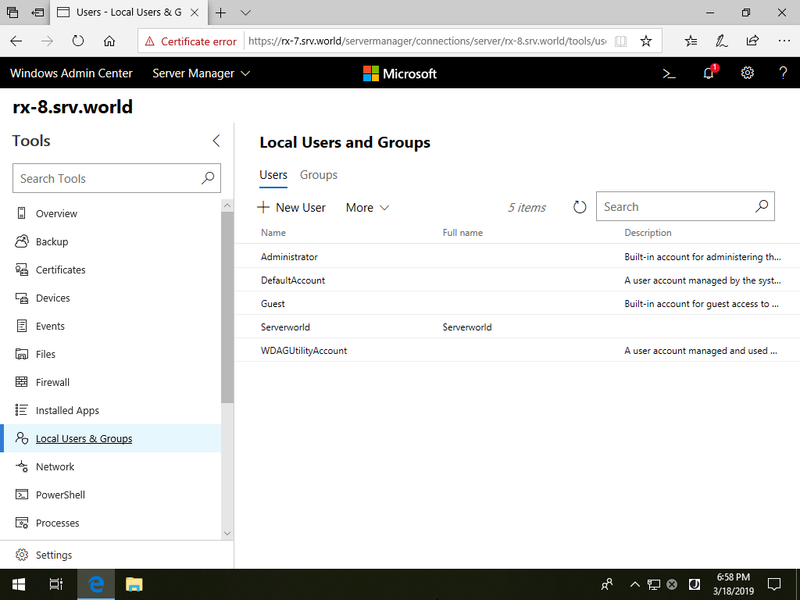 For [Local Users and Groups] on the left pane, it's possible to manage Local Users and Groups. 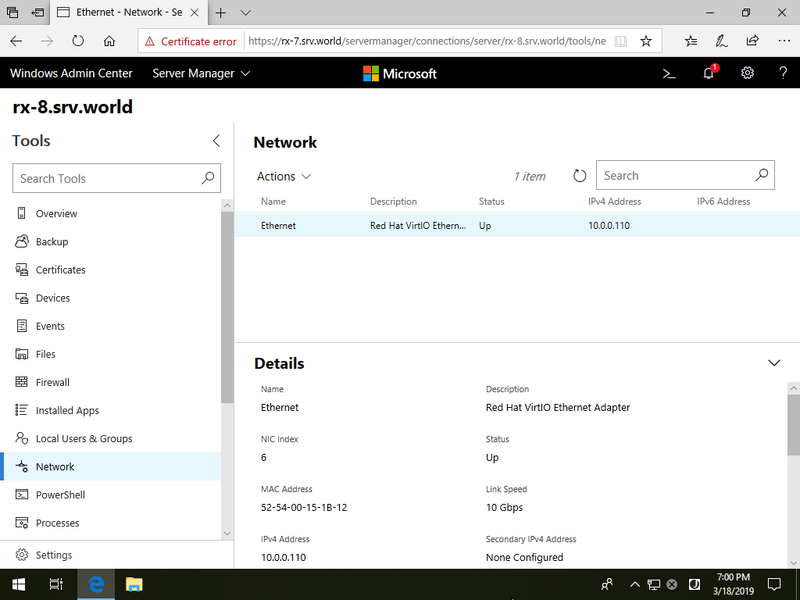 For [Network] on the left pane, it's possible to configure Network Interfaces.